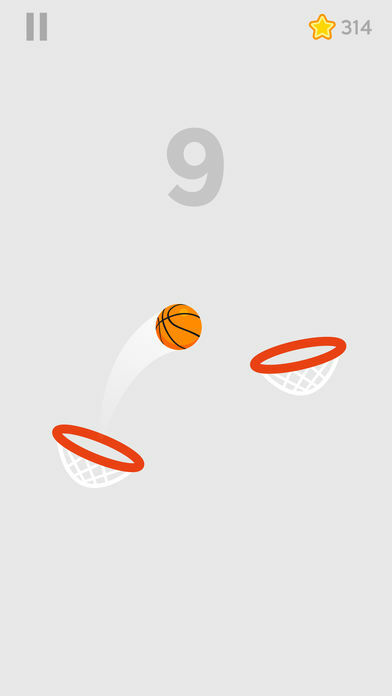 Home #ADDICTIVE Dunk Shot – A game you can actually win! Dunk Shot – A game you can actually win! 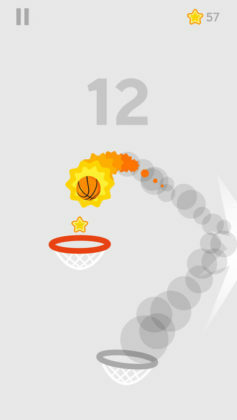 Are you in love with all the simple (yet highly addictive) basketball games available for your smartphone? If so, today we are going to add yet another game to your list we dare say is our favorite basketball game for iOS and Android to date! Dunk Shot (by Ketchapp and estoty) is another one of those games you’ll wonder just why no one invented sooner! Set on a never ending stage of 2 in 1 basketball hoops, your mission in this game is to slingshot your ball from one basketball hoop to another as you make your way up the screen of your device. For anyone who is overly familiar with the slingshot style controls featured in Angry Birds, Dunk Shot is played in much the same way. 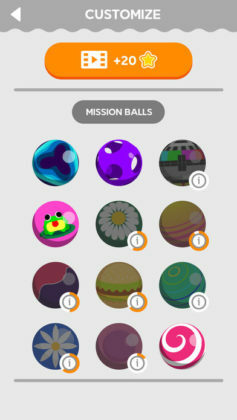 By touching and dragging anywhere on the screen of your device, you can aim and adjust the power of your shot using the included visualizer, together with whatever obstacles or walls that are present. If you’re imagining a game similar to the fun yet shockingly difficult Pocket Snap (by Ketchapp and GalacticThumb), Dunk Shot will likely be a pleasant surprise! Unlike a lot of similar games we’ve previously tested, Dunk Shot is actually possible! If you’re sick of playing games that do a great job of killing you every 10 seconds or so, Dunk Shot is a perfect choice! 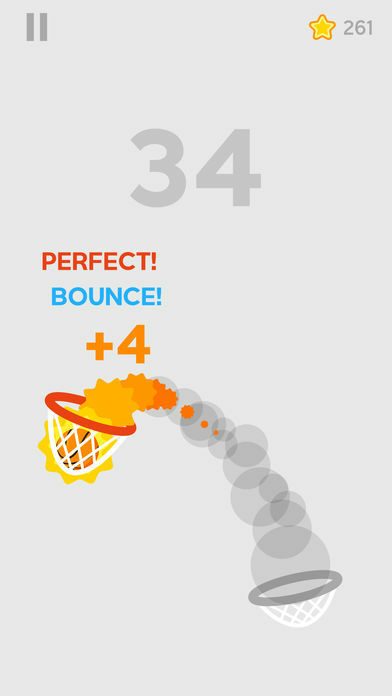 With a gameplay system that actually helps you achieve that highly coveted high score, Dunk Shot is the first game we’ve seen in a while that isn’t “annoyingly addictive” and is instead “just addictive”. Are you in need of a change? Are you in need of a game that actually allows you to feel as though you have actually achieved something every once in a while? 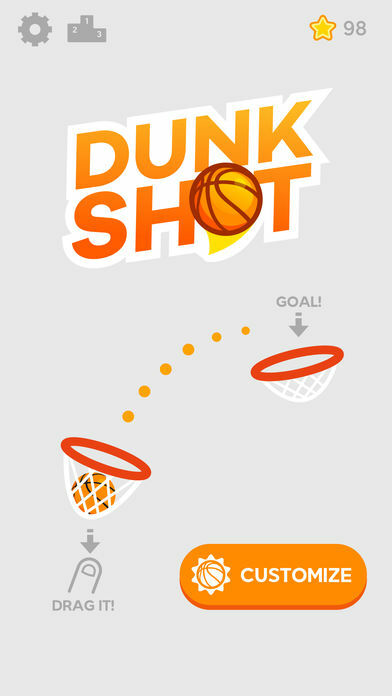 Are you in need of a game called Dunk Shot?